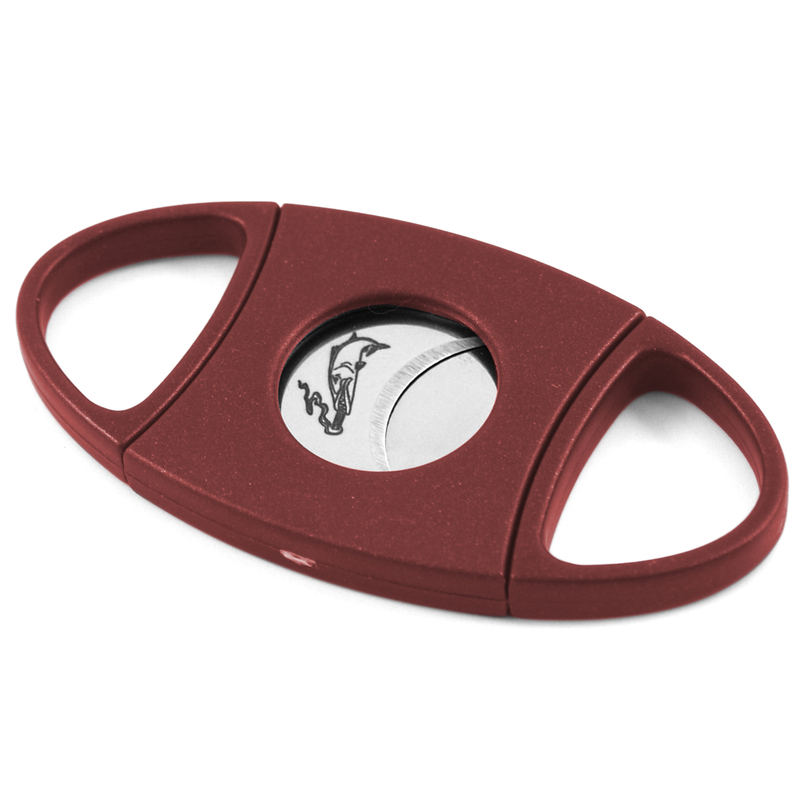 For cutting power that fits in your pocket, choose the Meansardine double guillotine cigar cutter from Xikar. This cutter is constructed with a nylon and fiberglass composite body and utilizes two stainless steel blades. The ring will accommodate cigars up to 56 gauge, and the blades are self-sharpening. This cutter is small enough to fit in a pocket, yet has incredible cutting power for even large cigars.